Do Photographs Capture Niagara Falls Frozen? A number of images capture the famous waterfall in a mostly frozen state, although many of them are misdated on the Internet. Photographs show Niagara Falls frozen in 1911 and 2014. Thought you might appreciate seeing this old photo. I’ve read of this but never saw the photo before. Makes you wonder just HOW COLD and HOW LONG it was that cold!! 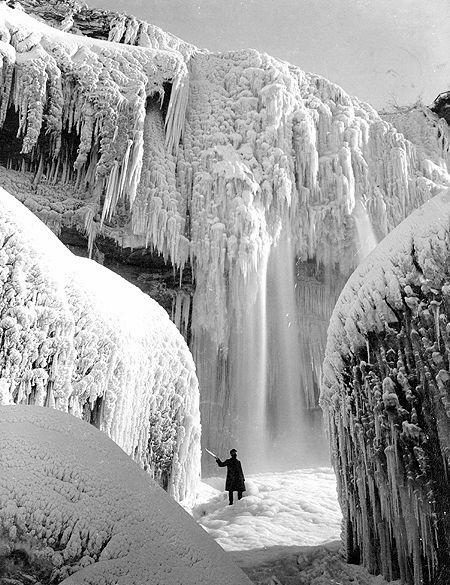 THIS PICTURE WAS TAKEN WHEN NIAGARA FALLS WAS COMPLETELY FROZEN IN THE YEAR 1911. A VERY RARE PHOTO. 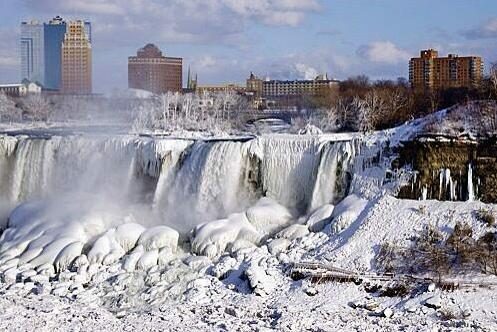 Niagara Falls gets cold every year. 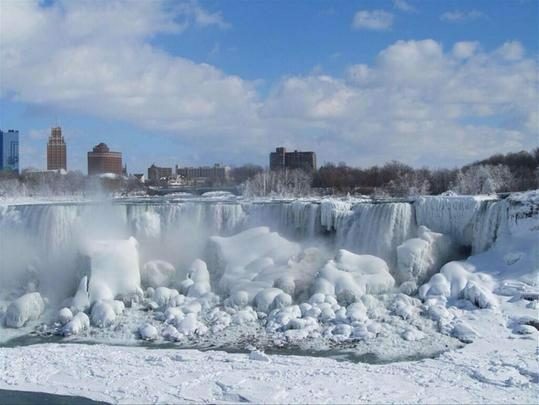 The average temperature in Niagara Falls in January is between 16 and 32 degrees. 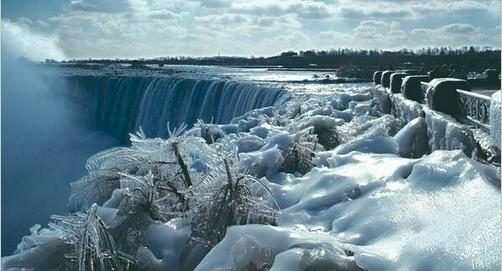 Naturally, it being that cold, ice floes and giant icicles form on the falls, and in the Niagara River above and below the falls, every year. 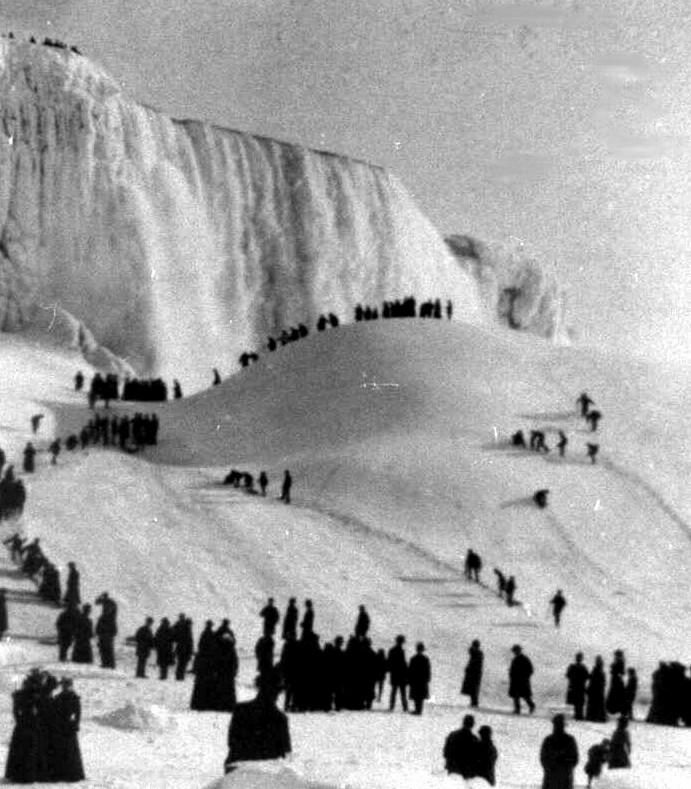 The ice at the base of the falls, called the ice bridge, sometimes gets so thick that people used to build concession stands and walk to Canada on it. It’s nothing out of the ordinary. It is not, to put it bluntly, big polar vortex news. The Falls of Niagara can be compared to nothing but a mere mill dam this morning. In the memory of the oldest inhabitants, never was there so little water running over Niagara’s awful precipice, as at this moment! 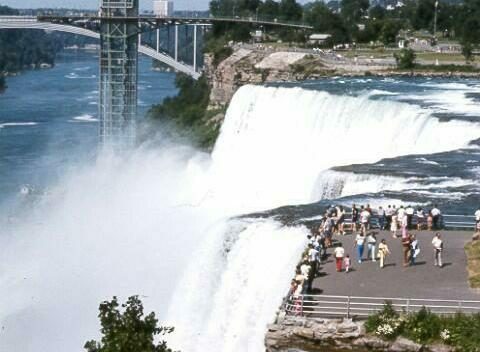 Hundreds of people are now witnessing that which never has, and probably never may again be witnessed on the Niagara River. Last night at 11 o’clock the factories fed from the waters of this majestic river were in full operation, and at 12 o’clock the water was shut off, the wheel suddenly ceased their revolutions, and everything was hushed into silence. Various are the conjectures as to the cause; the most reasonable of which is that Lake Erie must be making a grand delivery of ice, and this the mouth of the Niagara, although large, is not quite enough to take in the whole at once, and that the consequences are, back water. 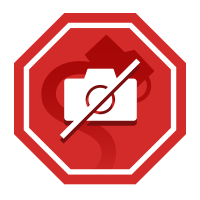 Although the text that accompanies the sepia image in e-mail forwards and social media postings usually states that the photo dates from 1911, other sources assign a variety of different dates to it. 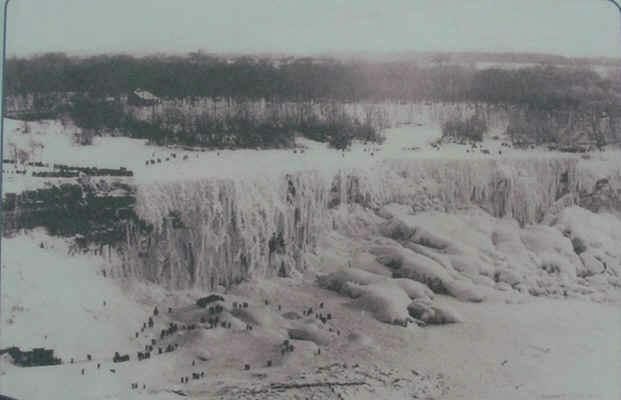 Much of the Niagara River around the falls was frozen in 1912, an occurrence that resulted in a tragic accident when an ice bridge across the river broke free from its shoring as several people were traversing it. Three people were unable to make it back to shore in time and were killed as the loosened ice plunged down the river. 15 April 1848 (p. 125). 5 February 1912 (p. I1). 5 February 1912 (p. 1).